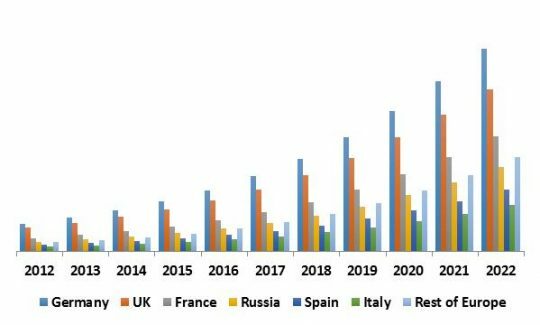 According to a new report Europe Security Analytics Market (2016-2022), the market is expected to attain a market size of $3.2 billion by 2022, growing at a CAGR of 25.3% during the forecast period. The number of instances pertaining to data breaches is growing by the day. The number of breaches in data is not just in terms of numbers alone; however, the complexity involved in the attack mechanisms has also grown substantially. Almost every country has reported instances of data breach year on year. As per estimates, it is reported that the number of global data breaches has shot up by almost 22% and more in the year 2014. The level of competitiveness is not limited just to compete, but also to a level of sharing intelligence to gain better share of the market. The information sharing system is helping companies in building highly targeted and smart technologies to counter emerging threats in different forms. It has also allowed in taking proactive defense steps rather than trying to contain a threat or work on post event clear up, eventually leading to real time security analysis. In 2015, Germany dominated the Europe Security Analytics Market. The region has generated revenue of USD 191.0 million in 2015, growing at a CAGR of 23.9% during the forecast period. However, Rest of Europe is expected to witness fastest CAGR of 28.7% during the forecast period. The cloud based deployment held the dominance in Security Analytics Market. In 2015, Web security analytics with a market share of around 38% of the total European Security Analytics market. End point security analytics possess the maximum growth with a CAGR of 27.6% during the forecast period (2016-2022). In 2015, Government & defense segment dominated the Europe Security Analytics market by industry. The segment has generated revenue of USD 135.2 million in 2015, growing at a CAGR of 23.7% during the forecast period. However, IT & Telecom segment would witness highest CAGR of 28.0% during the forecast period (2016-2022). 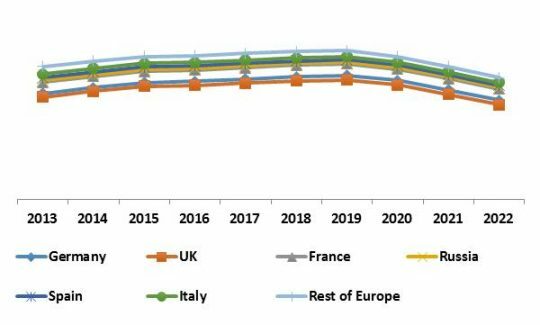 The report has exhaustive quantitative insights providing a clear picture of the market potential in various segments across the countries in European region. The key influencing factors of the Europe Security Analytics market have been discussed in the report along with the elaborated company profiles namely IBM Corporation, HP Enterprise Company, Oracle Corporation, Fujitsu Limited, Microsoft Corporation, FireEye, Inc., BAE Systems, Logrhythm, Inc., Alien Vault, Inc. and Open Text Corporation.